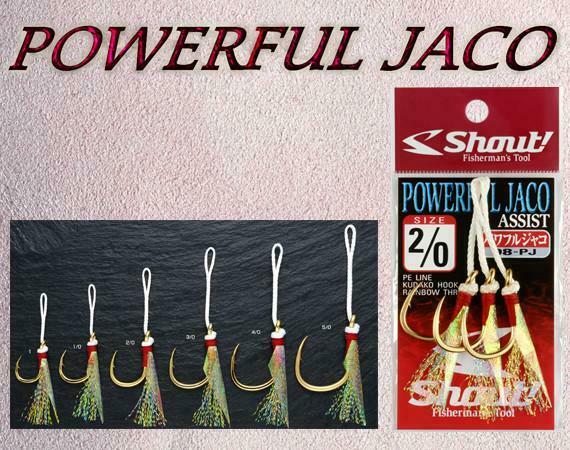 The Shout Power Jaco Assist Hook is suitable for big target such as Kingfish and Dogtoooth tuna which hide in the banks, and when you want to stop the movement of amberjack. 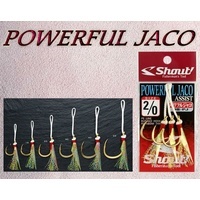 The ability to appeal against target has already been proved with ‘JACO HOOK’. Monster-corresponding ‘KUDAKO HOOK’ is used.